If you are interested in becoming a member of the club, please click on the "Join" button to the left or click here. If you have questions about our club, contact any of the people listed below. Marty has been a DeLorean owner since 1994 and is one of the co-moderators of the DeLorean Mailing List as well as being one of the driving forces in our club. He has also developed a number of useful parts for the DeLorean that you can check out on the Parts page. 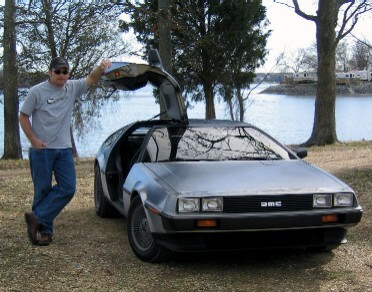 Jake has been a DeLorean owner since 2003 and maintains one of the most driven cars in the club. Regularly driving it over 15,000 miles per year, he proves how reliable and durable these antique cars can be! Ron's experience with the DeLorean began shortly before the Cleveland DeLorean Car Show in 2000 after his wife, Cheryl, purchased a pristine 1981 DeLorean. 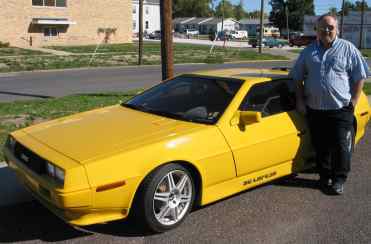 After winning the Concours in 2001, Ron went to the other end of the spectrum and bought a second DeLorean to build his infamous "Screamin' Yellow" car. Ron is also a frequent contributor to DeLorean publications and a major player in the DeLorean Millennium Concours staff.